Real Queen of Horror | Long Live Horror! : Trick of Treat! -- Upcoming Horrors of October 2011! Trick of Treat! -- Upcoming Horrors of October 2011! Some of you guys were already lucky enough to check some of these movies out. Lucky you! With this list, I can only hope to encourage people to want to check out them all, but I'll even settle if you check out one! A horror a day is what I always say...not really, but oh well. On with the list! The Human Centipede Part 2 - Release date: October 7th, 2011Those of you who have seen the first movie should know, you must have a strong stomach to see the sequel. A 12-person centipede...I'll leave it at that. The Child's Eye 3D - Release date: October 11th, 2011Yep...3D. This film tells the story of six stranded Hong Kong travelers during the shutdown of the Bangkok airport in November '08 during the anti-government protest. 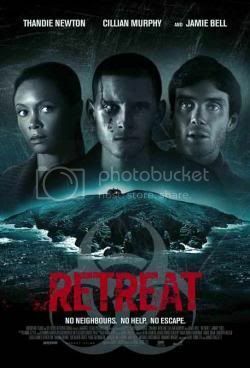 The group witnesses supernatural encounters after some disappearances! Sounds freaky! I like it. 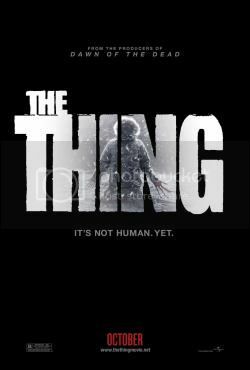 The Thing - Release date: October 14th, 2011An isolated outpost where shape-shifting creatures are accidentally unleashed and the new mission becomes survival when these creatures attack international scientists. Trespass - Release date: October 14th, 2011A man who has everything; a beautiful wife, a beautiful daughter, luxury living but soon he's confronted with the reality of losing it all when he and his family become the victims of a violent home invasion. Texas Killing Fields - Release date: October 14th, 2011A true story of a pair of police officers who made a promise to solve two decades of disappearances and homicides surrounding the Gulf Coast refineries. 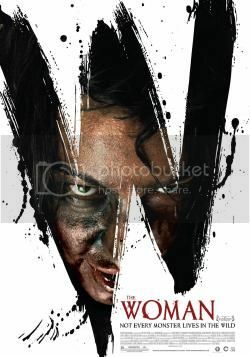 The Woman - Release date: October 14th, 2011She is the last surviving member of her clan that has roamed the Northeast Coast for yeaaarrrrrsss. When one of her last family members are killed in a battle with the police, she finds herself alone, wounded and scared. And because of that, she becomes a project to a disturbed family man. 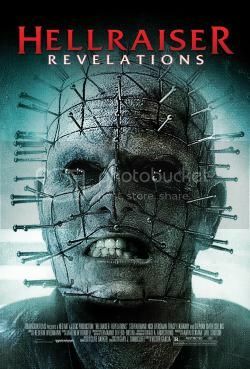 Hellraiser: Revelations (V) - Release date: October 18th, 2011While in Mexico, two friends discover the Lament Configuration and unleash Pinhead--duh. Once the claimed two go missing, family members go in search for them but find Pinhead instead. The Howling Reborn - Release date: October 18th, 2011A soon to be high school graduate, Will Kidman, soon discovers a dark secret from his past: he is heir to a powerful line of werewolves. Red State - Release date: October 19th, 2011Some group of boys encounter a crazed preacher while on their way to an internet arranged meeting with a woman. 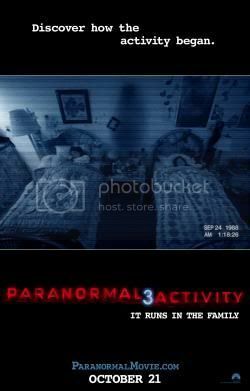 Paranormal Activity 3 - Release date: October 21st, 2011This one is supposedly the beginning of the series. Martha Marcy May Marlene - Release date: October 21st, 2011A damaged woman struggles to reconnect with her family after running away from an abusive cult. Wrong Turn 4: Bloody Beginnings - Release date: October 25th, 2011At an isolated hospital in the wilderness, three deformed mutants go on a killing spree. Decades later, the family of blood-thirsty mutants are now stalking new prey, a group of young skiers trapped by a blizzard. Faces in the Crowd - Release date: October 25th, 2011A woman who barely survives an attack by a serial killer wakes up in hospital with a head injury that leaves her "face-blind." She is no longer able to recognize faces; she must navigate a world in which facial features change each time she loses sight of them. All the while, the killer is closing in, determined to kill her since she's the only witness. Can't wait to see Red State. I'm looking forward to "La Piel que Habito" and "The Thing" most out of those. 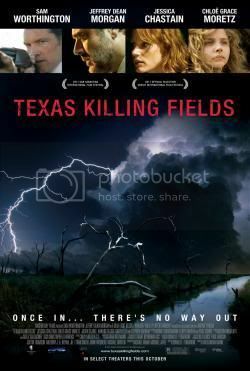 Texas Killing Fields sounds good! I'm into true crime/cold case kind of stories. Well, you already know I'm looking forward to Paranormal Activity 3, but I also can't wait to see Red State and The Woman. I've seen Martha Marcy May Marlene already and didn't care for it. Oh, and I've never heard of The Child's Eye before! It definitely sounds interesting, even though I usually loathe 3D movies with a passion. The biggest one for me will be The Skin I Live In. I'm a huge Almodovar fan, and can't wait to see him and Banderas working together again. 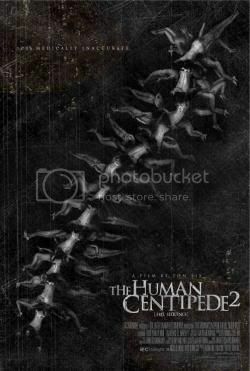 I REALLY want to see The Human Centipede 2 Full Sequence. I live for those types of movies. And, of course, I CANNOT WAIT to see Red State. Can't wait to see Red State, Faces In The Crowd, Trespass (Huge Nic Cage fan), and Texas Killing Fields. they all look great, cant' t wait for Paranormal Activity 3! by the way, thank you for visiting my blog. sorry that you could not understand anything, since it's in Greek. anyway, your blog rocks! you are a real Queen of horror! Drew Smith -- A singing sensation! My Childhood Top 5 Halloween Films!